Mac first hit the slopes when he was one and half years old at Bromley Mountain, Vermont. He is the youngest of three children in a family with a long tradition and passion for the sport. As a youngster, Mac was a freestyle skier competing in big air, moguls, and slopestyle disciplines regionally and nationally. At 13, while training in Lake Placid, New York, Mac was noticed for his exceptional jumping abilities and was recruited into the U.S. Ski Team’s Elite Aerial Development Program (EADP). He left home early in the 8th grade to live and train full-time at the Olympic Training Center. Mac was the youngest athlete there and fulfilled his education through an online program. 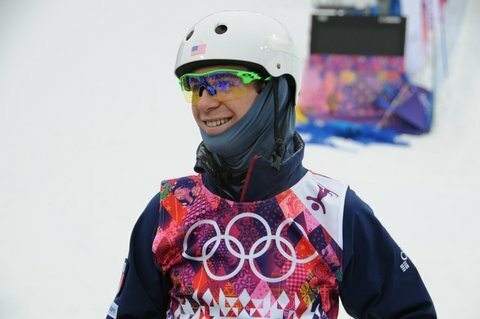 In 2012 Mac earned a fulltime spot on the US Ski Team, becoming the youngest member of the team. That same winter, he earned a spot to compete in his first World Cup, the largest international competition of his career at that time. Two years after his World Cup debut, Mac represented the United States as the lone male aerialist at the 2014 Winter Olympic Games in Sochi, Russia with a storybook performance. Noted by Bob Costas of NBC as a “Cinderella story.” Two months later he graduated from the USSA Team Academy with High Honors. Filled with confidence from his Olympic experience, Mac landed on the podium at every World Cup in the 2015 season, including three wins, finishing number one in the World. Away from competition, Mac spends countless hours each day building his strength and working to perfect his twisting and flipping skills through a series of focused progressions performed on water ramps, trampolines and on snow in Park City Utah. He is a full-time student at the University of Utah with an eye towards Law School in the future. He is passionate about music, fly fishing, and golf. He has also produced several short films for the U.S. Ski Team and founded a film production company, Volatus Films. When not studying or training, Mac gives his time to public service and support of others, as well as travels the country as a speaker and performer with Fly Ace Productions.